A number of people have been whispering sweet nothings about this new young producer KAIVON, in fact his agent event went so far as to tell me I would love his dreamy hair haha! When this kind of talk starts, I pay attention because we could be looking at the next festival headliner .... it's happens all the time and we get to say we knew him way back when! That being said, KAIVON needs to get his first live show under his belt before all that, and if you're in the Bay Area you can experience this first hand! 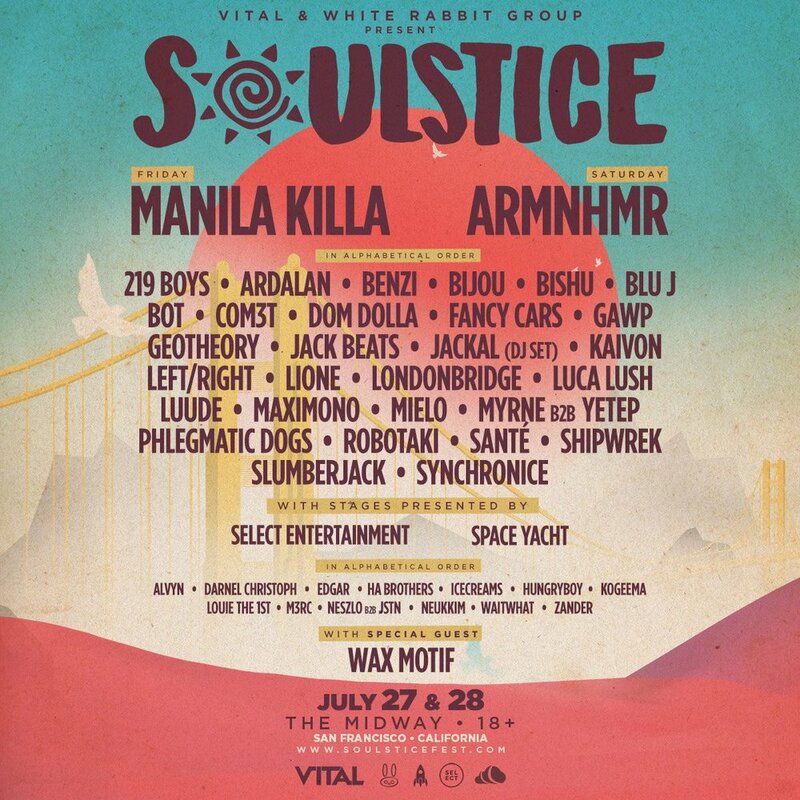 This Los Angeles producer hits the stage for the FIRST time this Friday at Soulstice Festival - and with this line-up who can resist? You guys can swoop tickets below - I know I'm gonna be there - you should too! Also, check out his most recent track "Can't Keep Loving ft. Stella Smyth" to hear what you might be missing!